That beanie has ears! Keep your head warm with this Pokemon Pikachu Beanie with Ears. This weaved beanie features Pikachu's adorable face embroidered on the front. 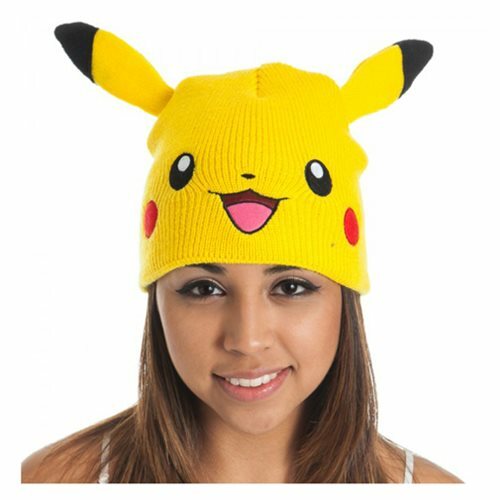 Try and catch 'em all with this Pokemon Pikachu Beanie with Ears! Measures about 8-inches long with ears.